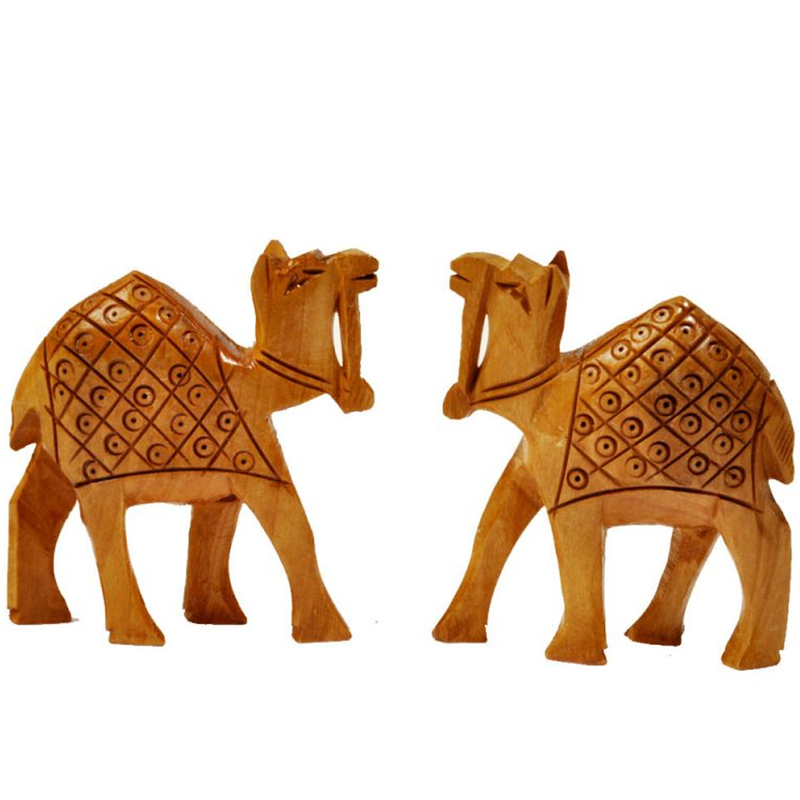 The pair of beautiful camels are carved out of wood which makes it all the more exciting. The very native animals are represented through the Read More..Rajasthani handicraft which further spreads the essence of rich cuture. The identical camels are in a standing posture with their faces looking in similar direction. On the back of each of the two camels, designs are sculpted making them look prettier. Show Less..